I have felt besieged of late. I was all but ready to give up and take my life. Fortunately, I have a wonderful loving wife. I could never do that to her. I wanted to protect her from this other person as the court action brought against me, could have a negative affect on her. This is what was tearing me up the most. As I spiraled down, my thoughts became ever darker. I started to think that the only way to kill a parasite is to kill the parasite or kill the host. Since I don’t seem to have the capacity to take a life, that left my own. I won’t go into the details of what is going on. Let us just say that someone from my past feels they are in the right to take from me. Originally, the court agreed with me that she was not, but she appealed to the Supreme Court of the State and they said she was based on some obscure decision that had no semblance to my own case. So it was sent back down and is in discovery. I had a taste of what it would be like to have the free cash to treat my wife to things like buying her dinner or a nice necklace or even flowers. Now all of that is in jeopardy as I may end up back living paycheck to paycheck while someone else enjoys the benefit of the long hours I work. This, of course, also affects my ability to get the help, treatments, and surgery needed to complete my transition. I was on a high before and for the first time in my life feeling what great joy was like. When the news came that she prevailed at the Supreme Court it was like a sucker punch to the groin that took me to my knees. I had planned to wait until November and my two year anniversary on HRT before drawing up my plan for surgery and other treatments. Now it is all up in the air and may not be able to happen. This is punitive to me, for a crime I didn’t commit. I spiraled down. My wife finally convinced me that it was time to return to counseling. I had “graduated”. I was done with counseling as I was doing so well, but continued in group to help and inspire others. Now I found myself back in the counselors office. I ran things down for her and she sat and listened. She acknowledged that what was happening to me was devastating and unfair. Then she blind-sided me. She asked me, what would a shaman do? Huh, what? It caught me off guard and got me thinking in other directions. The direction of the wounded healer. Though, when I first responded, I said wounded warrior instead of healer. She smiled and reminded me it was wounded healer. I should say that she knows of my shamanic studies and I had gifted her a copy of Sandra Ingerman and Hank Wesselman’s, Awakening to the Spirit World. She went on to tell me how the one thing she admired the most in me was through all the adversity and beat downs I have had in life, I have risen from them higher and stronger. I used that to help others. I embraced the ideal of the wounded healer. I must admit that is why I decided to be very public with my transition. That is also why my Cherokee friends named me Unega Waya, White Wolf. In their tradition, the wolf is a pathfinder and teacher. I have embraced that spirit. So as I crawl back out of the darkness, let me share with you some observations. 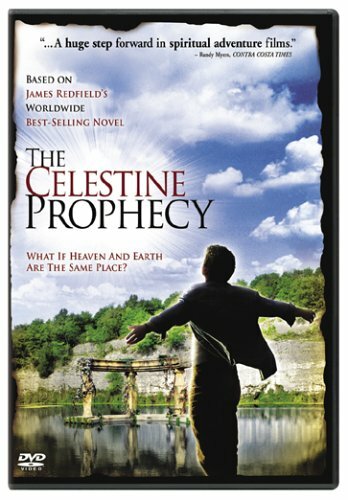 In the movie, Celestine Prophesy, the characters learn that through their love and sharing they grow stronger and empower each other. The greatest power is love. I have to chuckle as I am always the last to get things. I am thick. In high school, I excelled in Algebra and Mr. C kept telling me I should be a mathematician. I saw no purpose for algebra so I couldn’t embrace that. It wasn’t until later years when I took up programming and learned that it is all based on algorithms. Algebra. I can say the same about reading Celestine Prophesy and watching the movie. I embraced the ideology of Mitakuye Oyasin, we are all related. I just never internalized it. I am a deeply spiritual person but there is always that seed of doubt within me. I can intellectualize spirituality. I can teach spirituality, but I never really internalized it. Though, it home with these recent events. I fell in deep despair and decided to post a white flag on my page on Facebook and tell people that I was giving up and walking away. What happened next was mind-blowing. Post after post of support came in from all over the world. I was told that I would be missed and how much people loved me. The flame that had sunk into a glowing ember, now sparked. I read more and more. All the love and support pouring in and with each post, I could feel my strength and hope rising. Since many thought that this was because I was transgender, I felt I needed to clarify that this had to do with something other than who I was. In who I am, I have been strong. That has not faltered. It was the fear that I could not finish my transition. It was the fear that the venom of this other person could touch my wife; that her demands could affect our farm and our happiness. As in the movie. as I read the posts of love and support and slowly the spark of life started to grow. The power of love is infinite. As I continued to read messages of love and support and how my words have had positive impact on others lives, I started to release the mantel of darkness. I think what really got me was when one of my Cherokee friends had posted about a confrontation that she had with some hateful bigot. He told her, “You Mexicans should go back to where you belong!” Oh, he picked the wrong one. She went back at him and told him that she was Native American, Native Californian and Native Mexican. She told him to get back on his boat and go back to Europe where he belongs. When I read one of the comments afterwards that said that people are horrible and that is why she avoids them. It struck me that is the wrong answer. I replied to her that she should not avoid them but bring her light into the world. The problem is that those kind of people bully people until they extinguish all the light and we are left with a world of darkness. 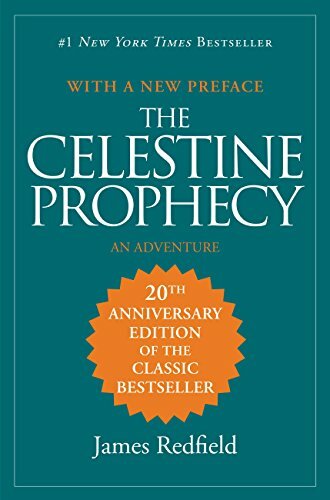 We need to learn the lessons of the Celestine Prophesy and push love and light into this world. We should not retreat be more like Momma Bear and push back . In my case, I thought about this a while and remembered the adage, what does it profit a man to gain the world, but lose their soul. I will not hate the person that is doing this to me. Rather I have come to understand that as she alienates more and more people, it will come to pass that one day she will be alone. In the meantime, I will continue to embrace love and give it freely. I may end up poorer in the end, but I will be richer in spirit and soul. We must all shine our lights and bring hope into this world. Love conquers all. I get it now. When I say, my heart to your heart, one heart, one spirit, please know these is not a shallow platitude. I truly mean this from my heart. Be a light in the world, shine bright my little fireflies!